We were so pleased to have the wonderful actor, model and lifestyle guru – Vivienne Connolly, take a trip down to Wexford to try our exclusive Pyramid Facelift. Having only launched this celebrity favourite treatment last July, the Pyramid Facelift has become the most sought after anti-ageing, skin tightening treatment at the Skin Essentials clinic! The Pyramid Facelift combines TriPollar Radiofrequency, Trifractional radiofrequency, and Voluderm technology in one super-treatment for maximum impact and lasting results. (These may also be recommended separately or in a different combination for your skin, we personalise every course of treatment at consultation). Best for: You have deeper wrinkles and noticeable laxity of the contours such as neck, jawline, mouth or eye area. You want a one-stop solution for reversing the signs of ageing and looking noticeable younger across all areas of the fas, eyes and neck. Also for pitted or indented acne scarring. 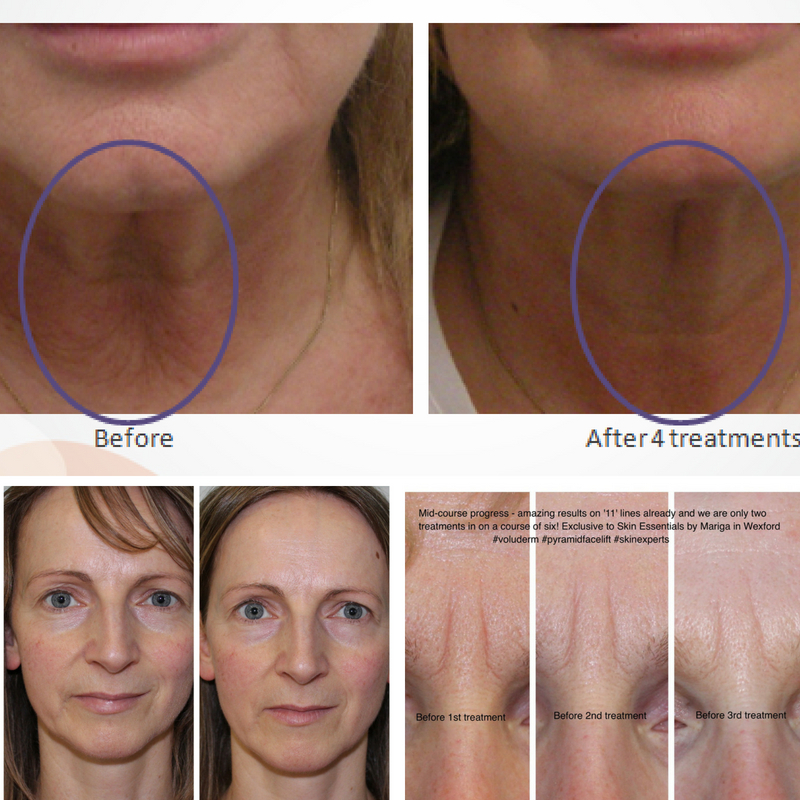 As we mentioned before, this is a non-invasive facelift and a great surgery alternative treatment. We don’t believe in invasive skin treatments and prefer to offer our clients a more natural and effective approach to anti-ageing and skincare needs. 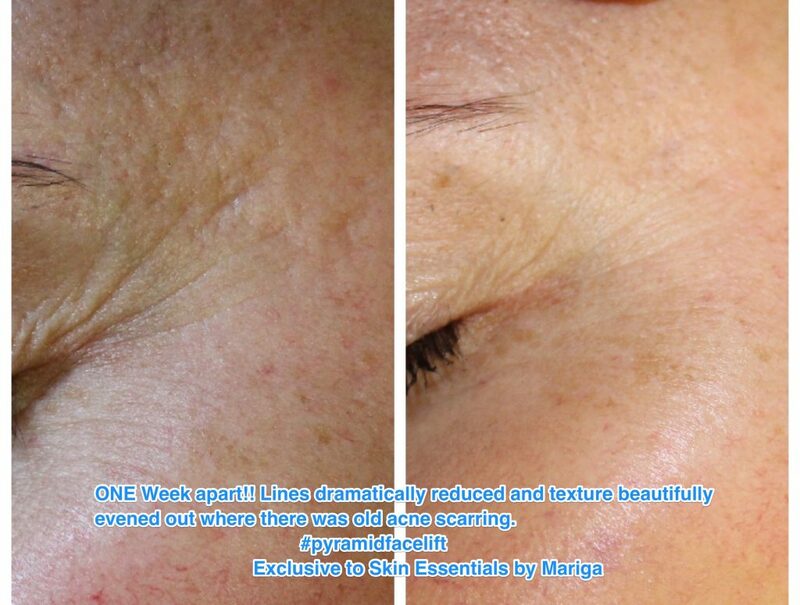 On Vivienne Connolly’s visit to Skin Essentials, we also advised Vivienne on the best skincare products to use after getting the Pyramid Facelift so she can continue getting dramatic results weeks after the treatment. Vivienne uses Hydra Collagen Serum, followed by the Advanced Protection Day Cream SPF30, Skin Comfort Cleanser, Age Slowly Serum, Lipid Repair Concentrate, Skin Comfort Cream. We were so delighted to see Vivienne’s write up in the Sunday Independent where she named Skin Essentials by Mariga her favourite skincare products! If you’d like to inquire about the Pyramid Facelift or any of our new Divine Pro treatments, call us on 053 9145981. You can also book a treatment online. This entry was posted in Treatments on 19/04/2019 by mariga. Our brand new treatment – SmartMeso – is a dermal infusion of Hyaluronic Acid and Vitamin C, two of the top ingredients for a youthful, radiant, hydrated skin. Hyaluronic acid is a natural component of the skin and a major component of the natural moisturising factor of the dermis, capable of retaining 1000 times its volume in water. The quantity and quality of the NMF contributes to giving skin its plumpness, resiliency and radiance. Hyaluronic Acid also contributes to collagen production as when it naturally breaks down in the skin the remnants are used to help build collagen fibres. Already a big player in your topical skincare, we can now get hyaluronic acid molecule intact to the lower layers using non-invasive mesotherapy infusions. Vitamin C is not made by our bodies and therefore must be supplied to the skin. It is a water soluble antioxidant, and this means that it can work in almost all the reactions occurring in the cell. There is more to vitamin C than the antioxidant (repair) side. Ascorbic acid is also a cofactor in the production of some amino acids, and it is required for the synthesis of collagen. Collagen is important not only for skin appearance, it is also involved in wound-healing and in preventing bleeding from capillaries. Vitamin C provides important protection against damage induced by UV light, improves skin elasticity, decreases wrinkles by stimulating collagen synthesis, reduces redness, promotes wound healing, reduces inflammation and suppresses melanin (dark pigment) synthesis. Read all about our new SmartMeso Hyaluronic Acid and Vitamin C Infusions here. The SmartMeso dermal infusion treatment gets these essential actives deep in the skin layers using electroporation microchip technology, where they can get to work immediately to hydrate and revitalise from the inside out. Each treatment takes about 35 minutes and is quite comfortable to have. You will be a little pink for a few hours afterward and from the next day you will see the results begin to show in softer, more radiant and hydrated skin that glows with vitality. The best product to keep up your effects at home is the Hydra Collagen Serum from Skin Essentials which, along with many other anti-oxidants, growth factors and hydrating ingredients, contains your daily dose of Hyaluronic Acid and Vitamin C (in the stabilised MAP format). 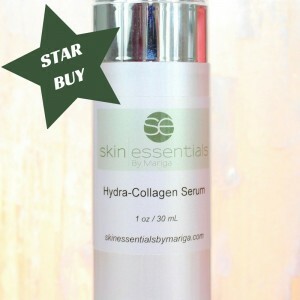 Buy your Hydra Collagen Serum online here or pop in to pick one up from our Wexford Town clinic. I’m delighted to introduce some new options for treating all types of breakouts – at home! From occasional pimples, through to persistent jawline or forehead breakouts or even full blown acne we now have some home treatments available for you to use as a regular deep treatments to keep all types of breakouts under control. These home treatments are intended to act as a booster to your usual homecare products and to keep your breakouts controlled between salon visits. And we have a very special introductory offer for you too!! 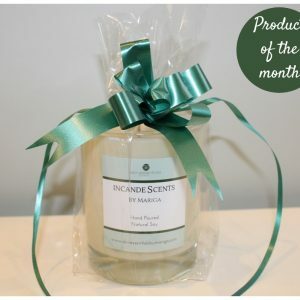 20% Off this month! Our Skin Script acne products can deep-treat all types of acne from very mild to moderate with a simple home treatment from as little as once to twice per month. Read below to find out how it will work best for your type of breakouts. If you always get a breakout in the are place in the days before your period then we would recommend using the Glycolic and Retinol Pads on the area prone to breakouts 2-3 times in the week that you usually experience the breakouts. If your spots are more random and tend to be pimples on the surface more so than spots then simply use the Blemish Spot Treatment as needed. 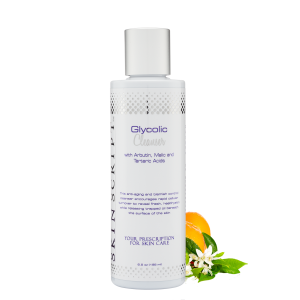 For those who experience persistent breakouts but only on one part of the face (jawline is the most common but it can be any single area), use the Glycolic Cleanser once per week on the affected area followed by Glycolic and Retinol pad. This is an average usage but you can adjust it over time to suit your skin, as much as twice per week or as little as twice per month depending on your own skin and severity of breakouts. For occasional larger spots use the Blemish Spot Treatment as needed. We can build you a daily regimen to help control your acne but as a twice-weekly treatment use the Glycolic Cleanser followed by the Glycolic and Retinol Pads. -Always use your home treatment at night and follow with your regular night time routine. -Patch test all new products on the neck or behind the ear 24 hours before first use. 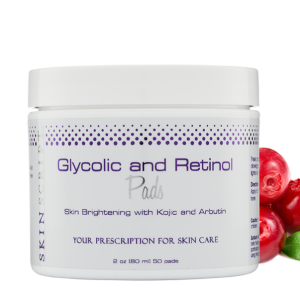 -Glycolic and retinol can both cause initial dryness, always start with once a week maximum to assess skin tolerance, it can be built up if needed to twice per week. Introduce ONE new product at a time only. -These home treatments do not replace your regular homecare routine, they are intended as a booster to your daily care. -Always use SPF daily as a last step in any skincare routine and especially where you are using highly active products that can make your skin more sun-sensitive. These products are not available to buy through our webshop as we want to give personalised usage advice with all purchases, so on these products only we can take orders over the phone or by email, whichever you prefer. Or of course if you are local you can pop in! Receive a special introductory discount of 20% off the above prices through April 2019 or while stocks last. Remember you need to call us on 053 9145981 / 086 3823608 to order and pay over the phone or email info@skinessentialsbymariga with your selection and we will send you an online invoice to pay using your credit or debit card. This applies only to these home treatment products, all of our usual online shop products can be purchased in the usual way from our web shop. This entry was posted in Uncategorized on 04/04/2019 by mariga. I’m really excited to share some results of our new EPM SmartMeso treatments with you. Launching on April 18th (11th for those of you on our VIP launch list, see below), the EPM SmartMeso treatment is all about deep, lasting hydration, plumping and dewy skin. 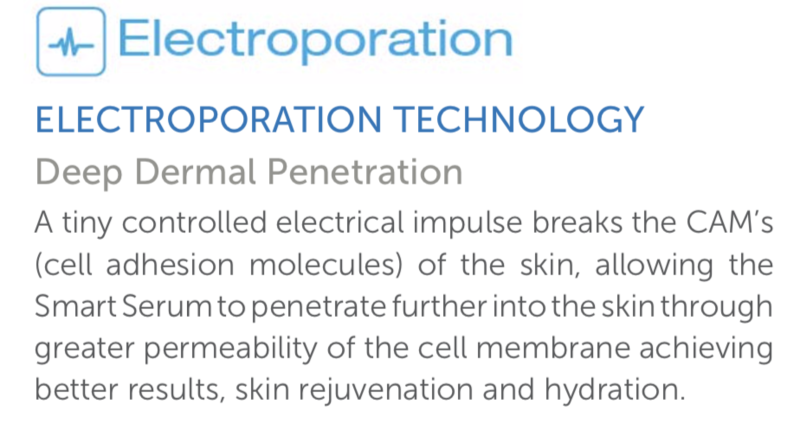 Using a combination of electroporation and nano-needling we can infuse hyaluronic acid and vitamin c deep into the epidermal layers to work on the skin from the inside out. Results are smoother, brighter, healthy looking skin with results that last much longer than a traditional facial. On our model we were targeting the lower face in particular (although each treatment is full face, eye area and neck) as that is where she felt she needed some change. The slight creasing around the corners of the mouth were of particular concern to our model, along with general dehydration/dryness/dullness. After just 2 sessions of the new treatment you can see the fabulous results and changes in the skin, all achieved in a natural way with little downtime. More than a facial, but without the downtime of more intensive procedures, each treatment course is tailored to your needs and can be taken as a single treatment in place of a regular facial for longer-lasting hydration, or as a course to deeply revitalise skin that has become dull, sluggish or neglected for any reason. To get on our VIP list and access Early Bird Specials in advance of our official launch just pop your details in the box below and we will contact you when the specials are released! 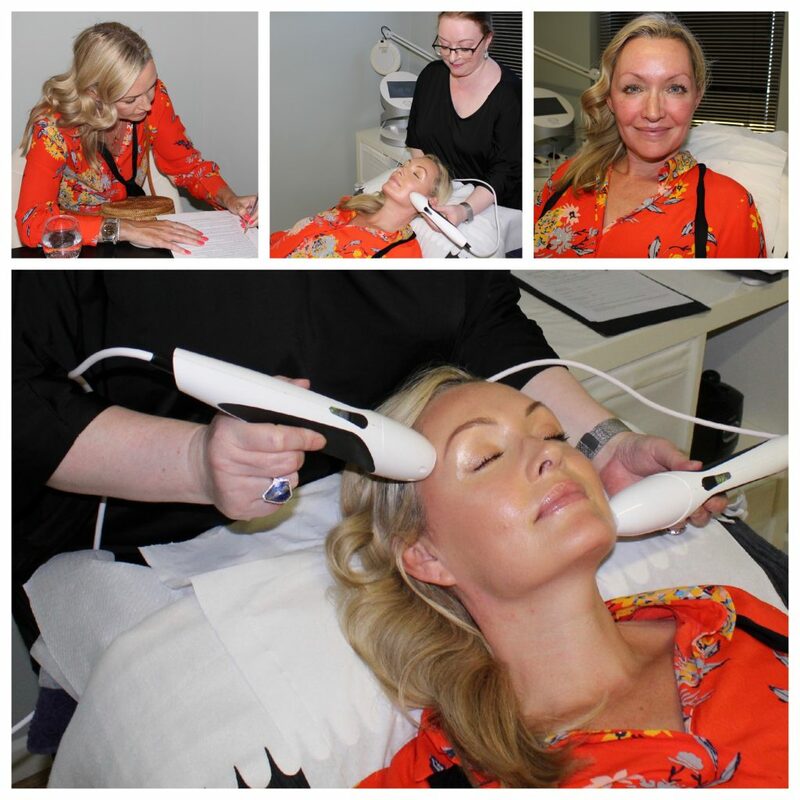 Here is a quick clip of our lovely Anna having the latest deep hydration and radiance treatment from Skin Essentials. The SmartMeso EPM (electroporation microchip treatment!) launches on April 18th. 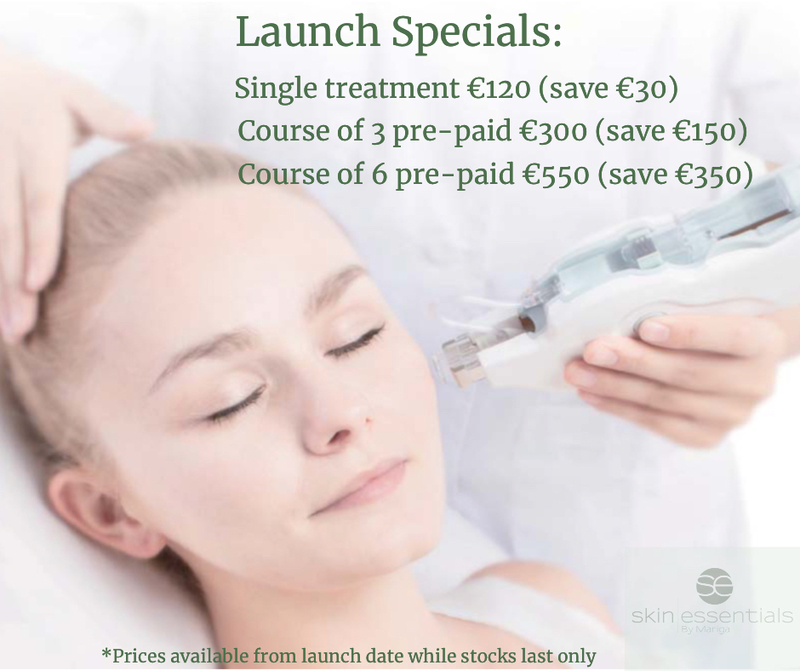 To avail of our early bird offers you need to be on our VIP launch list – get the details here: https://skinessentialsbymariga.com/mesotherapy-hydration-electroporation-microneedling/ p.s. Newsletter subscribers – watch your inbox today for an exclusive look at Anna's before and after pics! Read more details on this exclusive new treatment here. This entry was posted in Uncategorized on 03/04/2019 by mariga. 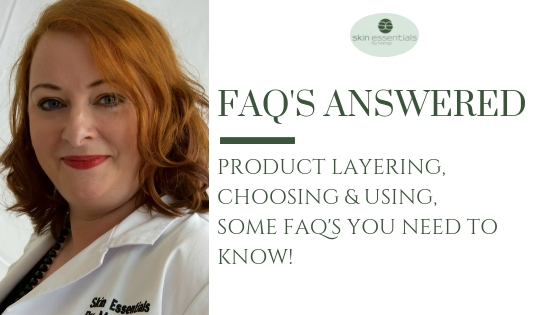 Product layering, choosing and using, some FAQ’s answered! 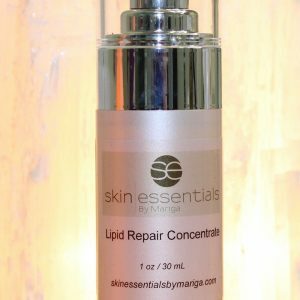 Here are some of our most common questions we get asked at Skin Essentials by Mariga. 1. Are Skin Essentials products suitable for sensitive skin? Yes, the whole ethos behind the product range is to create a line of products which are free from all known irritants. All Skin Essentials by Mariga products are free from fragrance, sulphates and colourants. 2. How do I know which products are right for me? We love to see as many people as we can personally to analyse their skins needs and prescribe a tailored programme. Our advanced skin analysis service has been specially developed to comprehensively assess your unique skin problems and solutions. For geographical or other reasons it is not always possible to visit the clinic so you will find a distance analysis form on the website for those who can’t. Just fill it out and we will take it from there. Prefer to talk to someone? You can always just give us a call to discuss you skin concerns on 053 9145981. 3. When is the best time to apply my products? Any time! The important thing is to use them; they won’t work in the bottle. We can make out a suggested homecare routine taking into account your available time, lifestyle and commitment level. 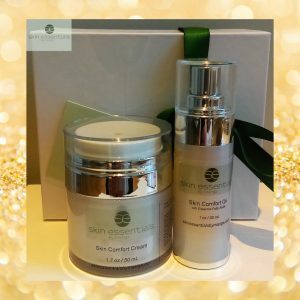 It doesn’t matter whether you apply the products day or night except for SPF which must of course be used during the day and Overnight Repair Cream/ Age Slowly Serum/ Blemish Control Cream which must only be used at night. 4. In what order do I use them? Thinnest to thickest is a good general rule. Serums are always applied to a freshly cleansed skin followed during the day by your SPF or at night by your treatment cream. If using both water and oil based products, the water based one must be used first with any oily or creamy product layered on top. It is not necessary to wait between layers, Skin Essentials by Mariga products absorb and get to work very quickly. 5. When can I expect to see changes in my skin? This varies between individuals and you will be given guidelines at your assessment, but generally speaking surface issues will be resolved within a couple of weeks, deeper changes such as stimulating sluggish oil flow or boosting collagen production take up to 3 months and acne and rosacea take at least three months to correct. It is necessary to be patient, a lifetime of incorrect treatment takes time to correct but with compliance you will reap the benefits far into the future. 6. I’m following my regime but my skin feels dry, is this normal? In the first few weeks of your new regime it is possible that your skin will go through a period of feeling dry or tight. This is usually due to the fact that most mass market skincare is full of surface conditioners such as silicones or mineral oil which sit on the surface of the skin and while they feel nice, they can’t change any cellular dysfunction. 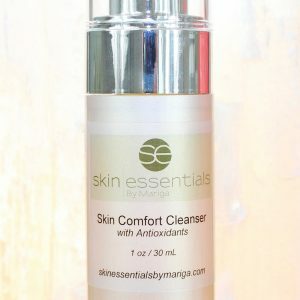 Skin Essentials by Mariga products are designed to absorb fully, penetrating deeply into the epidermis where they can correct cellular function. Your skin will miss the ‘greasy’ layer it is used to at first but as your skin becomes hydrated from within, this feeling will go. To make your skin feel more comfortable during this ‘withdrawal’ period I recommend layering your products onto a still-damp face after cleansing as this will lock in water. For those with very dry skin to start with I recommend using two drops of Skin Comfort Oil under your moisturiser until your skin is producing more oil by itself. Also, this can be a sign that you are not drinking enough water so make sure you are getting your eight glasses a day. For more information call us on 053 9145981. You can also shop our products online 24/7. This entry was posted in Uncategorized on 13/03/2019 by mariga. Easy skin tag removal – exclusive in Wexford to Skin Essentials by Mariga. Affecting both men and women, skin tags tend to be found mostly on the neck, torso and armpits although they can appear anywhere. Skin tags are extremely common and it always surprises me that more people aren’t aware of how quick and easy it is to get rid of them! If you are one of those just read my easy guide below and find out how we can get rid of your skin tag(s) – fast. Some people have just a single skin tag to be removed – from the size of a pin head to the size of a grain of rice fall into the small to medium category and I usually treat those with diathermy – using a short wave electric current on a tiny probe to dry out and ‘wither’ away this type of skin tag. It takes no more than 5 minutes, subject to a clean consultation, and generally a single session is all that is needed. For multiple small to medium skin tags we can do up to 15 minutes of treatment in a single session, taking off 10-20 depending on size. The smallest are gone immediately after treatment and the bigger ones fall off a few days later. For larger skin tags, from a grain-of-rice size up to as large as a bean-sized lesion we usually use cryotherapy, or freezing off, to remove. Again, this is a very quick treatment and one session is generally all that is needed for a medium sized tag, the larger ones may need a second top-up after 3-4 weeks. Using cryotherapy treatment, the skin tag reduces in size and falls off within 7-10 days of treatment on average. -We do a consultation with each client before a skin tag treatment to determine the best type for you (cost of consultation is fully redeemable against treatment). -Both short wave diathermy and cryotherapy removal give scarless results, unlike removal with a scalpel. -All colours of lesion, from pink through to red or brown are treatable. -The more ‘attached’ the growth, the more likely it is to need a follow-up session. -We will always advise you at initial consultation whether we think a single treatment will be enough or if we anticipate needing two sessions. -Our diathermy and cryotherapy clinic days are Thursday 10-6.30, Friday 10-5.30 and Saturday 9-2. Questions? We are happy to answer your questions on skin tags or any other aspect of your skin. You can call us on 053 9145981 or drop in to us at our skin clinic in Selskar, Wexford Town. This entry was posted in Uncategorized on 27/02/2019 by mariga.